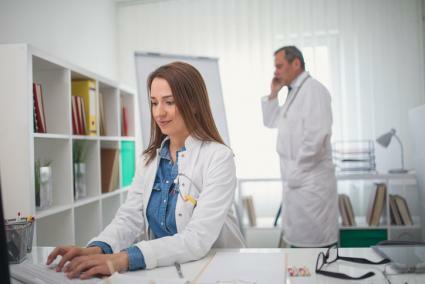 If you're pursuing a career as a physician assistant (PA), you can choose from a number of online learning programs to help you achieve your goals and make a difference in the field of medicine. PAs are capable of diagnosing and treating a variety of ailments, much as physicians are, so you'll need the kind of extensive education that's only available through a high-quality program. Several online programs are available for PAs who wish to further their education. Each program has different prerequisites for admission, different concentrations, and different program completion requirements, so you'll want to choose the program that best fits your needs. When you complete a physician assistant developmental training program, you'll usually earn a master's degree, such as the Master of Physician Assistant Studies (MPAS) degree, the Master of Physicians Assistant (MPA) degree, or the Master of Medical Science (MMS) degree. Yale School of Medicine, located in New Haven, Connecticut, offers an online PA program that leads to the Master of Medical Science (MMS) degree. The program takes 28 months to complete, and it costs in the neighborhood of $97,300. This figure includes tuition along with technology and activity fees. Prerequisites - To be considered for admission to Yale's PA program, you need to have earned, or be close to earning, a bachelor's degree from a university or college located in the United States. Prerequisite coursework includes anatomy, physiology, genetics, microbiology, either biochemistry or organic chemistry, and either calculus or statistics. You must not have earned a grade below a B in any of these courses. Curriculum - The curriculum of Yale's PA program consists of three types of study: coursework, clinical rotations, and on-campus immersions. You'll take courses pertaining to various physiological systems such as gastroenterology and cardiology and to different types of medicine such as pediatrics and emergency medicine. Through clinical rotations, you'll gain experience working with patients in the community. For on-campus immersions, you'll develop your skills through working at the Yale Center for Medical Simulation (YCMS). Online Environment - Yale's PA program is delivered to students through the Online Classroom. Students have a personal homepage with the Online Classroom through which they can access its various features such as virtual classrooms, breakout rooms to facilitate discussion, live chat, presentation capability for graphs and slides, and recorded classes archived for students' review. 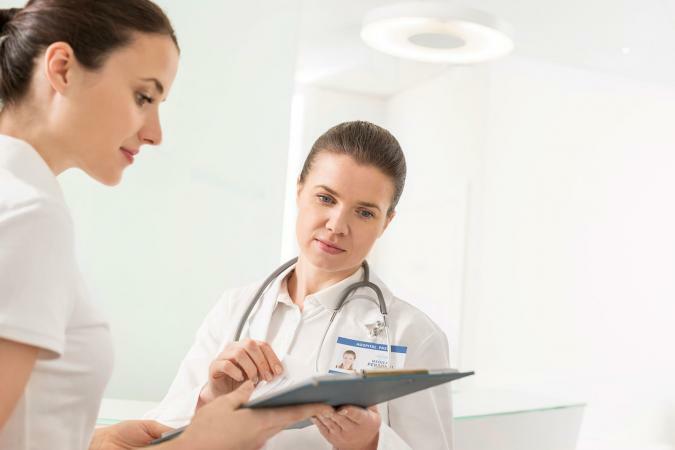 If you complete the Advanced Physician Assistant Degree Online at A. T. Still University, you'll be awarded the Master of Science in Advanced Physician Assistant (APA) degree. A. T. Still's program is ranked number one on a list compiled by BestColleges.com of the best online physician assistant programs. A. T. Still University has two campuses, with one located in Kirksville, Missouri and the other located in Mesa, Arizona. The PA program, designed for working medical professionals, requires a weekly time commitment of ten to fifteen hours and costs around $430 per credit hour. Prerequisites - To be eligible for this program, you must already be a certified or licensed physician assistant. You don't necessarily need to have earned a bachelor's degree as long as you're a practicing PA, but you must have graduated from an accredited PA program, and you must have earned a minimum cumulative 2.5 GPA (grade-point average) on your previous coursework. Curriculum - Your coursework for the APA degree can be completed totally online. For your degree concentration, you'll choose between Clinical Medicine, which is appropriate for practicing PAs, or Education and Leadership, which allows you to educate other medical professionals. If you concentrate in Clinical Medicine, you'll need to complete 400 hours of patient care, which you can do at your current place of employment as a PA.
Online Environment - To be accepted into the APA program at ATSU, you have to own a personal computer that is capable of running the Blackboard Learning Management System, the delivery system which you'll use to work on your degree online. If you'd like to check out the program's online environment, you can sign onto a demo course with the username of APAdemo and the password of ASHSguest. From Touro College's School of Health Sciences, located in Bay Shore, New York, you can earn an MSPA (Master of Science in Physician Assistant) degree. Touro College's program is ranked number three on BestColleges.com's Best Online Physician Assistant Programs list. To earn your MSPA, you'll need to earn seventeen credits, which you can complete in one year, though you can certainly choose to work at your own pace. The program will cost you around $7,600. Prerequisites - To be eligible for Touro College's MSPA program, you need to have earned a bachelor's degree by means of a PA program from a regionally accredited college or university. You will also need to provide two letters of recommendation from a physician or a physician assistant in a supervisory capacity. One of these letters must attest that you've completed 900 hours of clinical work. If you haven't yet completed those hours, you will need to complete them before earning your MSPA at Touro. Curriculum - The curriculum consists of two semesters' worth of courses that total seventeen credits over the course of one year. In the first semester, you'll study subjects like health science epidemiology, medical research methods, and medical ethics. In the second semester, you'll learn about health care delivery systems and evidence-based medicine. You'll work 900 hours worth of clinical work and complete three Master's Projects. Online Environment - Candidates for Touro's MSPA program are required to buy textbooks for their courses and have a high-speed internet connection. The program uses Blackboard to provide coursework to students. Faculty members review assignments using Safeassign and give feedback to students via email. The University of Nebraska's College of Allied Health Professions, located in Omaha, offers a Physician Assistant Degree Advancement Option through which you can earn an MPAS (Master of Physician Assistant Studies) degree. You can earn this degree entirely online in five semesters, but if you need more time, you can take up to five years to complete the program which costs around $16,100, inclusive of tuition and online, library, and technology fees. Prerequisites - To be eligible for the MPAS program, you must be a certified, licensed PA who has graduated from a PA undergraduate program with a bachelor's degree. Your minimum GPA on your undergraduate PA coursework must be at least a 2.0 on a 4.0 scale. Curriculum - The curriculum for the MPAS program consists of 36 hours of didactic courses that include Management in Health Care and Health Care Ethics and Critical Thinking. You can choose one of two possible track specializations: either the Clinical Track or the Educational Track. For the Clinical Track, students must complete 800 hours' worth of clinical practice, and for the Educational Track, students must complete 320 hours' worth of teaching hours. Online Environment - The University of Nebraska offers a flexible and highly interactive online learning experience which makes use of email, chat sessions, and discussion groups. Coursework is offered through the internet, and prospective MPAS students must be comfortable installing and downloading required software on their computers. Located in Stony Brook, New York, Stony Brook University offers a Master of Science degree in Physician Assistant. Known as the Post Professional Masters Program, this degree consists of 30 credit hours that can be earned in fifteen to eighteen months, but you can take up to five years to complete the program if you wish. Tuition and fees amount to around $720 per credit hour for resident students and around $1,330 for nonresident students. Prerequisites - To be eligible for the Post Professional Masters Program, you must be a licensed, certified PA who has earned a bachelor's degree from a regionally accredited institution. You must have matriculated from a PA program and have a minimum 3.0 GPA on your previous coursework. You'll also need three letters of recommendation, one of which must be from an employer and another from an instructor. Curriculum - The curriculum of the Post Professional Masters Program consists of thirty credits, including eighteen core credits that instruct students in core skills for PAs such as research writing, clinical pharmacology, and health care ethics. Your remaining credits will be made up of classes in specific areas of interest such as nutrition or health care management. Online Environment - Stony Brook utilizes the Blackboard Learning System for its online programs. For your online coursework, you'll need a webcam, a microphone, and familiarity with Microsoft Office software. You must also be able to hear audio files. You can communicate with instructors via phone or email. Since a career as a physician assistant carries with it great rewards and responsibilities, it's important to get the top quality education you need. Online programs give working health care professionals the flexibility they require on their career paths to enhance their knowledge and build their skills.